It's too bad that the probes do not have ion engines that could use the energy produced by the solar panels to keep them pointed at the sun. With these kinds of engines its possible to store enough propellent for many years of use. Be gentle folks please. If someone knows some valid engineering reason why this isn't possible (not enough impulse, not enough delta V, etc.) I would love to hear it. On the other hand please avoid casting aspersions on my mother's ancestors because you think the idea is ridiculous. The wording is a little clumsy but a couple of re-readings helped me sort it out. A remarkable, over-achieving project. They certainly got good use out of the two satellites. & will continue to gain data for years to come. I agree Parsec, it is a shame to loose those machines. Some times there are no good choices. 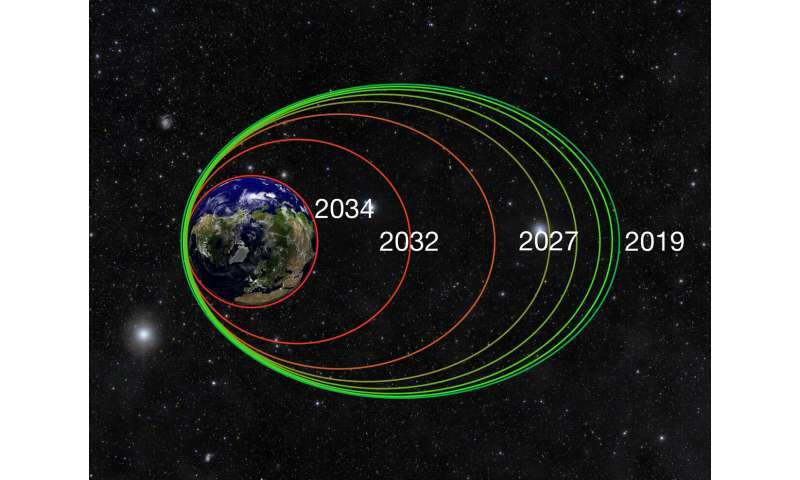 Good news?, Both will still be in low orbits a decade from now. Perhaps by then it may be economical to recover & re-purpose them? Or, at least recycle the materials in orbital facility? P, can I at least say your idea is "ludicrous"? I guess it wouldn't be fair to insult your father's ancestors... Any possible reply you could possibly dream up to insult my father's ancestors? The best response to be expected from that lot? For the most horrible possible insult you could conceive? Would be a smirk of fond memories. A follow up to the end-of-useful results in this article, is the article questioning the value of robot "life".